What is a good supplementing schedule for a leopard gecko? 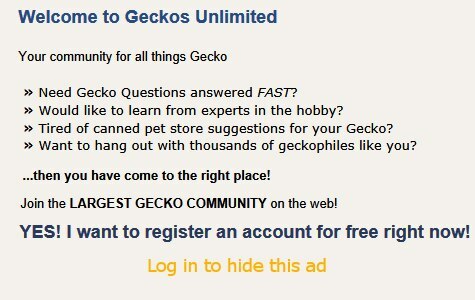 I have not bought the gecko yet and was wondering what schedule would be best to use for it. I am most likely going to get a baby so I wanted to know best schedules for when it's a baby, juvenile, and adult. Do you wish UVB right from the beginning? Appropriate use of UVB depends upon having a large enclosure with many hiding places to dodge those rays if the leo chooses. Otherwise the rays could damage his eyes. Even when using UVB Dr. Fran Baines (vet & lighting guru) recommends a backup dose of calcium with D3 at 1 feeding per month. To me that means a 36 x 18 x 12 inch tall. Maybe a 20 long (30 x 12 x 12 inches tall) would work with a Zoo Med's Reptisun 5.0 compact fluorescent UVB above the warm end, but I'm not convinced. Can you begin with a 20 long? That's excellent space for a baby leo! I recommend these schedules when NOT using UVB. I am going to start using UVB from the start. I'm going to house my gecko in a 40 gallon breeder and using Arcadia Shade Dweller. Should I still provide D3, even if only once a month? Should I still provide D3, even if only once a month? I would. You also want to make sure you use the thickest hides possible(like stone)to help prevent the UVB rays from entering the hides. Google: Custom Rock Reptile Hide Cave Realistic Natural Habitat Home made with Stone and see what you can find. You will also need an elevated surface so that your Leo can climb up and have access to the UVB within 12 inches. When your leo is absorbing UVB from Arcadia's Shade Dweller, also provide D3 at one feeding per month. An excellent heat mat for a 40 breeder is an Ultratherm 11 x 17 inch size. Two 11 x 17s would give you a cool end of 14 inches. That's plenty. Ultratherms are very reliable and outlast competing brands. Heat cables are less expensive to install than heat mats. Inkbird's thermostats have a model that accepts two heat sources. -----> Based upon Fran Baines, DVM's recommendation ALSO lightly dust with Zoo Med's Repti Calcium with D3 @ 1 feeding per month instead of 1 of the 2 plain calcium dustings that week. Last edited by Elizabeth Freer; 02-13-2019 at 05:04 AM. Last edited by Sg612; 02-11-2019 at 04:03 PM.